Tall Mom on the RUN: Who's Your Buddy?? My AMAZING friend Amanda HERE had a FAB IDEA!!! Running Buddy Appreciation Day HERE! June 25th is now Running Buddy Appreciation Day, so go above and join in the FUN!!! June 25th just so happens to be Seattle Rock N Roll and guess what?? I get to run with and see and support most of my favorite Running friends!!! Perfect timing Miss Amanda!! I was thinking... I have been BLESSED with amazing Running friends... Maybe some of you out there are feeling a bit SOLO in your Running World. So here are my SIMPLE tips to making new Running Buddies. Use DailyMile.com HERE to search for people in your Area and ask them to be your friend. Follow their training, maybe you run the same pace and on the same trails. Plan a SAFE meet up date and time to run TOGETHER. Search Bloggy land for local runner friends, plan to meet up at a race or for a training run. This is how I met MOST of my Running buddies near and far. Sign up for local races and pay attention to the people in your pace area. Strike up a conversation before, after or even during the race. Who knows, that person may be your neighbor. Link in with your local Running store for training groups, group runs, and volunteer opportunities. All of these are a GREAT way to meet new people. Recruit new Runners!! You may have family or friends who might be interested in a lifestyle change, or a challenge. Taking those folks you already know and helping them become Runners is a GREAT way to have new Running Buddies. Use Social Media and ASK if anyone wants to run with you, you may be surprised the response!! I hope these help!! 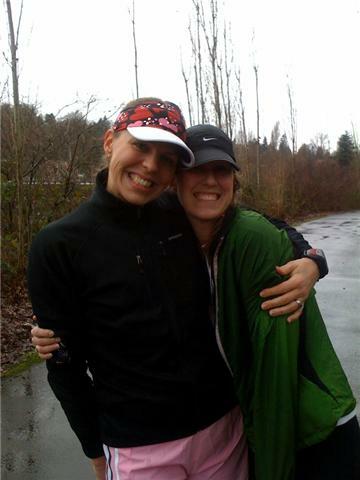 What other ways did you meet your Running Buddies??? I joined a local running club! i reluctantly joined the local running club and it ended up being the best decision ever. i've met so many wonderful people and always have a running buddy if i need one. I literally just joined a local running club and the first meet up is tonight. I am so excited! I converted regular buddies into running buddies. It meant I got to watch my friends get healthier, and I knew I could already spend hours with them. YEAH the "event" is getting so big! I invited all of my RBs... love it! I'm with the others, I joined a running club and the floodgates of running buddies opened! So excited that I found your blog!! Come check out my new community on my blog called "Mom on the Run" ... its a fun way for moms to connect!! Great suggestions for finding a buddy. YAY!! Thank you for spreading the word! All running partners deserve to be recognized!! So....THANK YOU for being an amazing Running Buddy! You knew just how to keep me going and how to get me through, you listened and supported me! For that I am appreciative and grateful! and might I add, you were not an axe murder and you did not kill me on our first blind running date!! So thank you for that too! =) Love you Mel!!! I'm loving this idea! I recruited a friend of mine to run along with me and it's going great...I'll have to make sure she's included in Running Buddy appreciation day :) FUN!!! You make it looks so nice! The only running buddy I've got is me, myself and I. And I always seem to be losing her along the way. Volunteer at a local road race! Some fellow runners may not be able to fit that race into their schedule, but they may just volunteer).